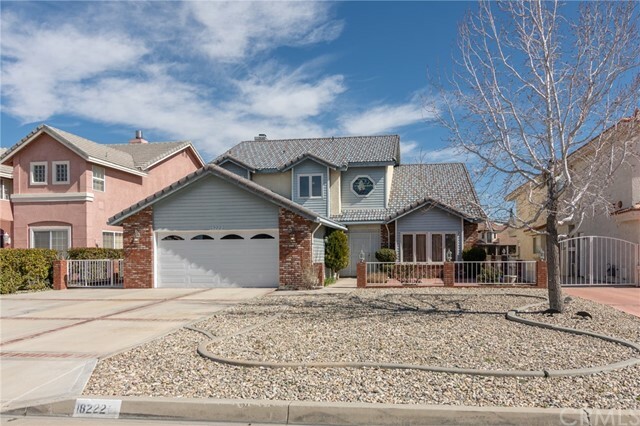 All Victorville homes currently listed for sale in Victorville as of 04/19/2019 are shown below. You can change the search criteria at any time by pressing the 'Change Search' button below. 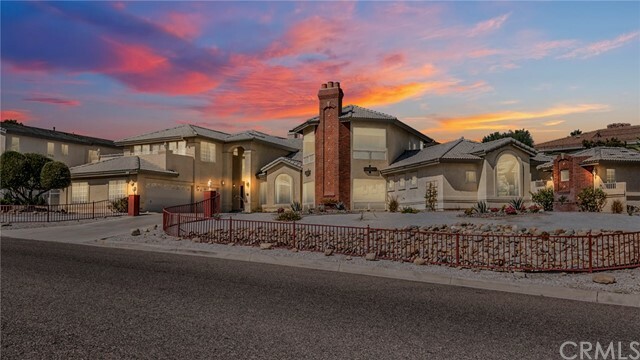 If you have any questions or you would like more information about any Victorville homes for sale or other Victorville real estate, please contact us and one of our knowledgeable Victorville REALTORS® would be pleased to assist you. 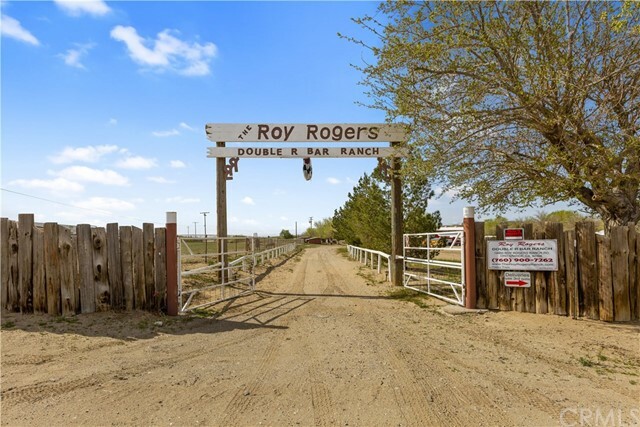 "**THE HISTORICAL ROY'S ROGER'S DOUBLE R BAR RANCH - OWN A PIECE OF HISTORY and a WORKING RANCH** This 65 Acre, 4639 Sq. Ft (3 Homes) Ranch was owned by the Famous Roy Rogers-the King of the Cowboys & his wife Dales Evans-the Queen of the West. This FAMOUS RANCH has 3 Homes along the Mojave River and off the old Route 66 just North of Apple Valley and a few hours outside of Las Vegas. Entering the Ranch is like stepping back into the Wild West with its own Western Town, Saloon and the most Famous Landmark the Red Barn (complete with a Kitchen, Bathrooms, Bridal Room, Banquet Rooms, Workshop) 17 Horse Stables and 1/2 mile Race Track. The Main House is 1900 Sq. with 4 Bedroom, 3 Baths, Living, Dining, Kitchen, 2 Car Garage and a huge Master Bedroom. The Detached Guest House is 1400 Sq Ft. and includes a Kitchen, Living Room, Dining, 2 Bedrooms, 2 Bathrooms & Laundry Room. The 1300 Sq. Ft. Bunkhouse is right near the 17 Horse Stables, Birthing area, Pastures, full Horse Training Facilities & Massive Hay Barn, endless Garages, RV Garage & Workshop, Camp Ground & original Grapevines that Roy planted in the 1960's!!! This property has so much INCOME producing potential including a full working Horse Ranch, Current Wedding Venue, Western Film Set, Horse, Camping, Lodging, Rodeos, Concerts, Dude Ranch, etc. This property is a perfect place for the whole family! YOU HAVE TO SEE THIS AMAZING PROPERTY!!! CHECK OUT THE VIRTUAL TOUR VIDEO. (Several Parcels included)"
"PRICE REDUCED BY $50,000, FOR QUICK SALE. 2 HOMES IN ONE LOT (10 ACRES ZONED R-3)STANDARD SALE. LOCATED JUST A FEW FEET WEST OF THE NEW APPROVED ST MARY'S HOSPITAL ON FWY 15- SOUTHBOUND. THIS AREA WILL APPRECIATE TO A HIGH VALUE ONCE THE PROJECT GETS STARTED. PLEASE CHECK WITH THE SAN BERNARDINO COUNTY FOR MORE DETAILS ABOUT THIS PROJECT. Ten Acres zoned High Density in located in the heart of the Golden Triangle Area recently incorporated to the city of Victorville, CA . This property is located about 1/4 Mile West of FWY-15 on Mojave St. also know as Smoke Tree St, after incorporated to the city of Victorville, CA. There is a 1700 sq. ft. Existing S.F.R. and guest house conversion are sold without warranty of any kind. Association Amenities: None # of RV Spaces: 0 Special Features: ,,NONE Frontage Type: Dirt Road Lot Location Type: Standard Location Special Features: Cable TV,Garage Door Opener, Two Homes on a Lot # of Attached Spaces: 2 # of Detached Spaces: 0"
"PRICE HAS BEEN REDUCED BY $50,000. FOR QUICK SALE. 2 HOMES IS ONE LOT (10 ACRES ZONED R-3)STANDARD SALE. LOCATED JUST A FEW FEET WEST OF THE NEW ST MARY'S HOSPITAL WHICH IS BEING BUILT ON FWY 15- SOUTHBOUND. THIS AREA WILL APPRECIATE TO A HIGH VALUE ONCE THE PROJECT IS COMPLETED. PLEASE CHECK WITH THE SAN BERNARDINO COUNTY FOR MORE DETAILS ABOUT THIS PROJECT . Ten Acres zoned High Density in located in the heart of the Golden Triangle Area recently incorporated to the city of Victorville, CA . This property is located about 1/4 Mile West of FWY-15 on Mojave St. also know as Smoke Tree St, after incorporated to the city of Victorville, CA. There is a 1700 sq. ft. Existing S.F.R. and A permitted guest house conversion are sold without warranty of any kind. HOWEVER, PROPERTY IS BEING SOLD AS VALUE IN LAND ONLY. BUYER'S DUE DILIGENCE PERIOD NOT TO EXCEED 30 DAYS." "Welcome to the beautiful Spring Valley Lake area. This magnificent estate home is one of a kind custom home built. The original 5 bedrooms 3 bathroom home was enlarged and renovated in 1998. In 2018 the kitchen and pool was also renovated. This custom home now has 7 bedrooms; 2 of which are master suites, 5 full baths, full bar, and walk in refrigerator. This custom home also offers a 3 car garage, 3 private balconies, a sauna, a beautiful open kitchen; with a new 6 stove burner, built in vacuum system. Lets not forget the backyard paradise. Walking distance to the shopping center, with a market, cleaners, hair salon, nail salon, and the famous and delicious NICKS PIZZA. If you are in the mood for a round of golf or a nice relaxing dinner, The Clubhouse is a short dive or walk away. The Marina is right around the corner where you can enjoy a fun day on the Lake. So if its the Lake or Golf or entertaining in your own backyard; THIS HOME IS A MUST SEE!!" "Beautiful custom-built two-story lakefront home boasts 4,121 SqFt with 5 large bedrooms. Desirable open water view everyday! Large open entry opens to living room and dining room with custom flooring & coffered ceiling. The gourmet kitchen has black granite that contrasts perfectly with French country white cabinets, dual convention ovens, dishwasher, walk-in pantry, and breakfast nook with lake views. More counter seating that stretches around to a unique wet bar with sink and wine fridge. Large family room with fireplace & custom oak mantle. Hardwood flooring & a nook area perfect for tucking away a sun-filled work area. There s a bedroom & bath on the main level. Four bedrooms upstairs, two of which are master suites, all with walk-in closets. 2 balconies on the second level. One of the huge master suite features a large balcony, marble fireplace, huge walk-in closet, and master bathroom with shower & jetted tub, all with views of the breathtaking lake. Laundry room upstairs with more storage space. Attached 2-car garage, landscaped front & backyard, and covered patio with river-rock columns & custom iron railings that surround the extended dock. Park your boat & fish directly in the backyard! This is truly resort style living everyday. Ready to move-in. Furniture is negotiable for additional cost. Spring Valley Lake community features 24 hour security guards, beautiful golf course, clubhouse, fishing areas, beach area, and enjoy the annual fireworks show on your deck!" "Luxury living in the High Desert! This fabulous home is located on the water in the highly desirable community of Spring Valley Lake. Complete with marble flooring, vaulted ceilings, and boasting over 3800 square feet of living space with 180 degree views of the lake, this property is truly an entertainers dream. The home has 5 true bedrooms and 3 full bathrooms, making it ideal for larger families or as a fabulous second property. Sellers will consider any and all offers so do not hesitate to view! this home is a must-see!" "Beautiful Lake Front Home located in the Highly desirable Spring Valley Lake Community. Situated in a nice and quiet Cul-de-sac. 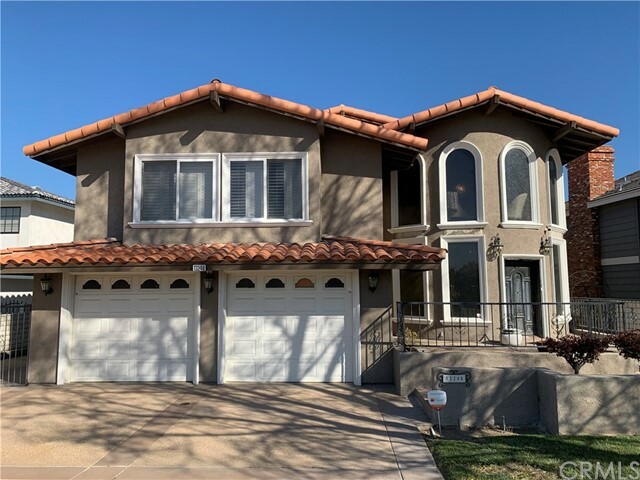 Featuring 3600 Square feet of living space 5 over sized bedrooms and 3 baths, plus a bonus rooms, this two story house has a floor plan to accommodate a large family or someone that requires plenty of space to entertain. This home needs some love and tender care to make it a dream home, Double hand crafted wood doors, enter to cathedral ceilings, and you will find a wide stair case, to the second floor, also a loft, There is a wet bar on the second floor that has the size of a kitchen. large Living room and Family room with a fireplace, Large Gourmet kitchen with granite counter tops and plenty of cabinetry. Second floor has direct access to a spacious balcony with breathtaking lake views. The floor plan was specially designed to maximize the lake views. Spacious backyard facing the lake with a fire pit and private loading dock. Community amenities include a 200 acre lake with boating, fishing, beach and swimming. 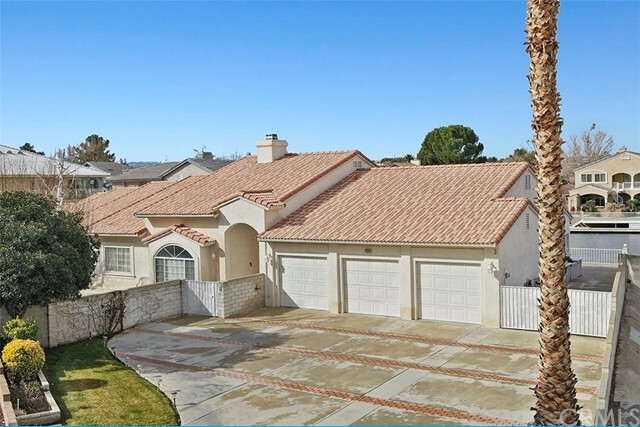 For an additional membership fee, residents can enjoy the golf course, tennis, fitness center and more...Centrally located in Victoville near shops and restaurnants, schools and hospitals, and Just 10 minutes from the Interstate 15 freeway. # of RV Spaces: 0 Special Features: ,WBCLUB,TENN,PIER,GOLF Lot Location Type: On Lake Patio and Porch Features: Balcony Special Features: Garage Door Opener # of Attached Spaces: 2 # of Detached Spaces: 0"
"Reduced $20K!!! Seller motivated! Resort living at High Desert pricing!! INCREDIBLE, AFFORDABLE Home ON THE WATER in the High Desert's Premier Community of Spring Valley Lake. Amenities include GOLF, FISHING, BOATING , TENNIS, HORSE BACK RIDING, 3 PARKS, & A DOG PARK! This large Executive home on the water is 3903 sq feet, 5 bedrooms with 5 bathrooms on Spring Valley Lake. The moment you walk into this upgraded home and see the dramatic quartz staircase you will see that no costs were cut in the upgrading. Tumble stone marble flooring in the formal living room with cathedral ceilings and crown molding throughout the home. Hand-painted cabinetry in the kitchen providing lots of storage, walk-in pantry, engineered hardwood flooring in the family room and upstairs. Office and 1 bedroom downstairs. Fabulous tile in the bathrooms. Sound system throughout every room in the home, security system, your own boat launch and floating dock and outdoor shower, large patio extending the length of the house and covered deck to enjoy the lake life! There is a community center and you can choose to join the COUNTRY CLUB! This home is also a smart home that you can operate from your phone. You will not be disappointed in this incredible home." "REDUCED $20k!! !Resort living at High Desert pricing!! 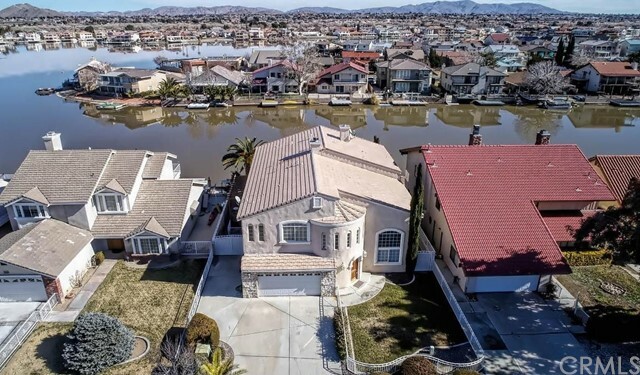 INCREDIBLE, AFFORDABLE Home ON THE WATER in the High Desert's Premier Community of Spring Valley Lake. Amenities include GOLF, FISHING, BOATING , TENNIS, HORSE BACK RIDING, 3 PARKS, & A DOG PARK! This large Executive home on the water is 3903 sq feet, 5 bedrooms with 5 bathrooms on Spring Valley Lake. The moment you walk into this upgraded home and see the dramatic quartz staircase you will see that no costs were cut in the upgrading. Tumble stone marble flooring in the formal living room with cathedral ceilings and crown molding throughout the home. Hand-painted cabinetry in the kitchen providing lots of storage, walk-in pantry, engineered hardwood flooring in the family room and upstairs. Office and 1 bedroom downstairs. Fabulous tile in the bathrooms. Sound system throughout every room in the home, security system, your own boat launch and floating dock and outdoor shower, large patio extending the length of the house and covered deck to enjoy the lake life! There is a community center and you can choose to join the COUNTRY CLUB! This home is also a smart home that you can operate from your phone. You will not be disappointed in this incredible home. Association Amenities: Marina # of RV Spaces: 0 Special Features: CC,PTRYPOOL,CLUB,TENN,GYM,OSM,LAKE,MARN,GOLF Lot Location Type: On Lake # of Attached Spaces: 2 # of Detached Spaces: 0"
"4 BED / 4.5 BATH/ 4,707 SQ.FT./ LOT 7,200/ BUILT 2006 LIVE A ROYAL LIFESTYLE! Imagine coming home to this stunning and spectacular Mediterranean style home. Grand scale rooms and elegance throughout. Formal living room w/ soaring ceiling and built in martini/wine bar great for entertaining family and friends. Fabulous open kitchen with granite counters, top of the line appliances, center island and adjoining breakfast area opens into the family room w/ elaborate fireplace and grand scale windows overlooking the backyard and views. Office/study with separate double door entrance has built in desk. One guest bedroom and bath on main level. Crown molding, travertine flooring , designer interior paint, security system w/ cameras, intercom, surround sound system, 8 wall mounted T.V'S, too much to mention. The owners put all their heart and soul into the detailing of this immaculate and impressive home. As you make your way upstairs there is an open loft. The exceptional master suite with walk in closet w/ built in shelving and resort style bath. You will appreciate the energy efficient owned and paid solar panels, 3 AC, 2 tank less water heater and water softener. This move in ready palace is waiting for you to call it home! # of RV Spaces: 0 Special Features: BN,CC,,IN,PTRY,WSEC,WBPOOL,CLUB,SAUN,TENN,GYM,GOLF Lot Location Type: Standard Location Special Features: Garage Door Opener # of Attached Spaces: 2 # of Detached Spaces: 0"
"One of the most BEAUTIFUL homes on the lake just reduced over $10,000! Custom home w/ approx 90 ft back yard of OPEN WATER VIEWS! Upon entry you will see open, airy great room w/ high ceilings, new porcelain soft wood planks, tons of windows & a cozy fireplace. Recently renovated Chef's Kitchen w/ exotic granite counters, extended cabinets, state of the art stainless steel appliances - including gorgeous double oven, breakfast bar & custom lighting. Spacious dining area boasting a wall of windows for amazing lake views. Bonus/office also downstairs w/ unbeatable lake views. All 5 bedrooms are upstairs as well as HUGE loft area leading to an oversized deck with FOREVER VIEWS! Master suite is spacious w/ a newly renovated bath! The backyard is perfect for entertaining w/ its oversized extended patio, boat dock, custom landscaping/lighting and a brand new play area complete w/ new patio cover! Wood shutters thru out, all bathrooms renovated, custom paint thru out, oversized finished 3 car garage and much, much more! Association Amenities: Beach, Marina # of RV Spaces: 0 Special Features: CC,,PTRY,PIER,LAKE,BEAC,MARN Lot Location Type: On Lake Special Features: Garage Door Opener, Underground Util: # of Attached Spaces: 2 # of Detached Spaces: 0"
"***BRING ALL OFFERS***You finally found your HOME ON THE LAKE*** Beautiful WATER FRONT HOME with OPEN WATER VIEWS!! Home features large open floorpan with all bedrooms upstairs. I full bathroom downstairs. Tile floors in entry to kitchen with hardwood floors. Kitchen features huge sink area overlooking the open water, huge walk-in pantry BUILT IN Sub-Zero Refrigerator, tile counters and oak cabinets. 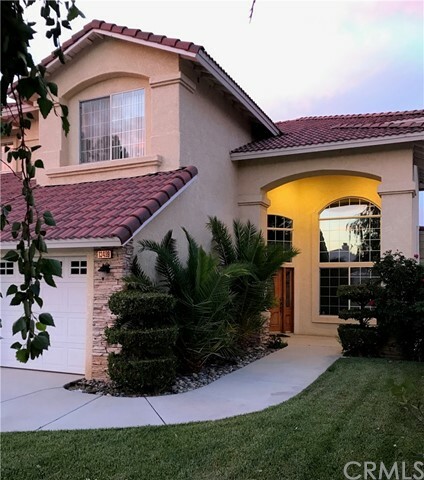 Home as built in Central Vacuum, formal dining area and dining nook, working Intercom system, wood burning fireplace in family room, wide open halls and LOTS or storage areas and cabinets! Master bedroom features wood burning fireplace, walk in closet with built in drawers. Master bath has dual sinks, bathtub with lake views and separate shower. Balcony out the master has beautiful views of the open water and cozy sitting area. Come take a look and bring your offers!! Association Amenities: Beach, Marina # of RV Spaces: 0 Special Features: ,IN,PTRYPOOL,SAUN,TENN,GYM,RACB,LAKE,BEAC,MARN,GOLF Lot Location Type: On Lake Special Features: Garage Door Opener # of Attached Spaces: 3 # of Detached Spaces: 0"
"Come view this Waterfront Wonder! Simply Elegant! Lake views from the front and rear of the house! Private koi pond overlooking the lake which creates are very peaceful & relaxing environmentThis home offers so many upgrades, Open floor plan, cathedral ceilings,formal living and dining rooms,an amazing open kitchen surrounded in stainless appliances,and huge granite slabs that give you plenty of room to prepare delicious meals. Step out back and enjoy the tranquil view of the Lake, private dock & fish right in your backyard. The backyard has a built in BBQ with a granite top, a oversized, extended deck that sits at the end of the channel. This home is a first class home that shows like no other! Bring your fussiest clients and the home will sell itself. This is a sun and wind protected lot. You have amazing views from every room in the house! It's a MUST see! It also received recent updating like wood looking plank tile floors, new paint inside, stacked stone wood burning insert fireplace, RV Parking and much more! Association Amenities: Beach, Marina # of RV Spaces: 0 Special Features: BN,CC,,LF,PTRY,SH,POOL,CLUB,TENN,GYM,RACB,PIER,BEAC,MARN Lot Location Type: On Lake Special Features: Garage Door Opener, Underground Util: # of Attached Spaces: 2 # of Detached Spaces: 0"
"ONE OF THE BEST HOUSES IN FRONT OF THE LAKE WHOLE LAKE VIEW Completely remodeled and upgraded with seller spending around 100K in upgrades. 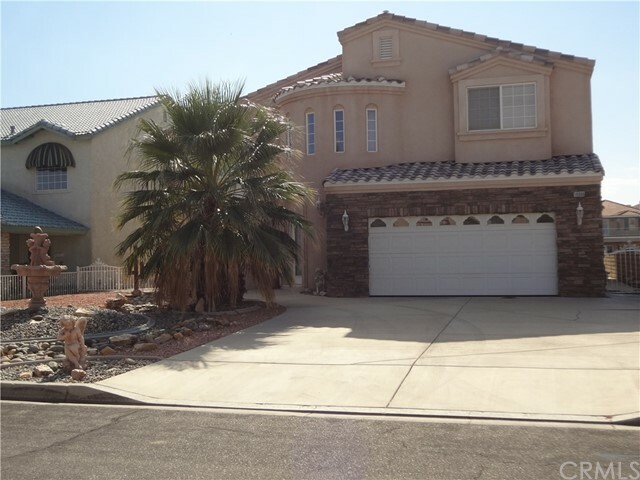 It is a beautiful two story custom made home located in the Spring Valley Lake community. The entrance features a 2 story atrium, there is an open floor plan throughout the first level, perfect for entertaining with a glass fireplace and customized kitchen(One bedroom downstairs). Upstairs includes four bedrooms and laundry room. Master bedroom includes an office, balcony with lake view, a personalized closet as well as a spacious bathroom with his & hers sinks, huge tub & separate shower. 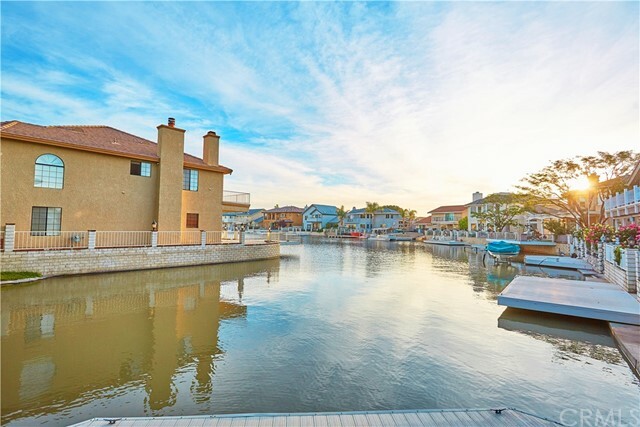 This home has it's own private boat launch and a backyard patio which includes it's own dock. Check with Spring valley Lake association for all the amenities such as pool, tennis, country club dining, golf course, beach and lake use. DO NOT LET THIS OPPORTUNITY PASS!" "Opportunity Knocks. PRICE REDUCED OVER 100K.. Spectacular Open Water Property. This Is the Life !. Located in the High Deserts PREMEIRE association. SPRING VALLEY LAKE. Enjoy Boating, Fishing, Championship Golf Course. Prestigious Clubhouse. Horse Back Riding . World Class Shopping . Victor Valley College and schools within walking distance. Landscaped Front and Rear.. Custom wrought Iron Fencing. Striking Architecture. Great Curb Appeal. 5-Bedroom 4-Bath . 3510 SF Living Space. Master Suite Downstairs. Perfect for MULTI-GEN living. Mother -In- Law quarters.Open Floor Plan. Entertainers Delight. Formal Living Room Dining Area with Custom Wood China / Library Unit. Family Room with Fireplace Opens to Granite Kitchen. Double Oven. Pantry . Range. Microwave. Perfect Set up for large gatherings. Home flows nicely to expansive Patio. / Deck/ Private Boat Dock. Custom Granite Outdoor Kitchen. BBQ. Bar Serving Area. Sink. Upgraded Appliances. Wine Cooler. Gas Jetted Fire Pit. Enjoy the Integrated sound system and flat screen TV while relaxing in the spa. This home is ready for any size party. Casual elegance throughout . Master Suite is spacious and leads to private patio area. Enjoy arguably the best sunrises in the world. Master Bath Boast Dual Sided Fireplace . Elegant Jetted Tub. Ample Walk In Closet. Another Upstairs bedroom is equipped with its own private Bathroom and Patio Area. 2- additional bedrooms are sufficient size and share a bath. Hardwood and Custom Tile Flooring." "WATERFRONT EXECUTIVE HOME is located on a quiet channel with an east-facing backyard. This truly custom build home is carefully planned and designed for the location has 5 bedrooms 3 baths 3 car garage extended deck over the lake, private boat dock build in outdoor cooking station with BBQ, huge patio for entertaining Inside are plenty of hardwood cabinetry, bright kitchen granite counters stainless steel Jenn-air apliances, imported tile in baths master suite with fireplace and balcony open floor plane with vaulted ceiling, climate controlled Wine-Cellar Association Amenities: Beach, Marina # of RV Spaces: 0 Special Features: BN,,CC,,PTRY,SH,,WBCLUB,SAUN,TENN,GYM,OSM,LAKE,BEAC,MARN,GOLF Lot Location Type: On Lake Special Features: Cable TV,Garage Door Opener, Underground Util: # of Attached Spaces: 3 # of Detached Spaces: 0"
"WATERFRONT EXECUTIVE HOME is located on a quiet channel with an east-facing backyard. This truly custom build home is carefully planned and designed for the location has 5 bedrooms 3 baths 3 car garage extended deck over the lake, private boat dock build in outdoor cooking station with BBQ, huge patio for entertaining Inside are plenty of hardwood cabinetry, bright kitchen granite counters stainless steel Jenn-air apliances, imported tile in baths master suite with fireplace and balcony open floor plane with vaulted ceiling, climate controlled Wine-Cellar"
"LAKE HOUSE FOR SALE...TWO STORY 4 BEDROOM 3 1/2 BATH. OPEN CONCEPT KITCHEN TO FAMILY ROOM. LOT'S OF CUSTOM FEATURES BUILT IN CABINETRY. PLENTY OF STORAGE BEAUTIFUL STAINED GLASS WINDOW ABOVE FRONT DOOR.PANEL AND WOOD WORK IN FAMILY ROOM VERY UNIQUE FAETURE.CENTRAL VACUUM THROUGHOUT A/C HEAT. PELLA WINDOWS ...SECOND MASTER DOWNSTAIRS WITH FULL BATH ATTACHED. SIT OUTSIDE ON YOUR BACK PATIO ON THE WATER OF SPRING VALLEY LAKE...OR TAKE OUT YOUR BOAT/WAVE RUNNER/KAYAK THAT YOU CAN TIE OFF TO YOUR OWN PRIVATE BOAT DOCK...TRUE LAKE LIVING AT IT'S FINEST ON A PRIVATE LAKE. GET READY TO ENTERTAIN FAMILY AND FRIENDS.."
"2014 Quest 16' Pontoon Boat w/30 hp - House included! Fish, swim, ski, cruise around the lake or just relax in the backyard and view the ducks, pelicans and the swans. Resort living all year round! For an additional membership fee, you can enjoy the Country Club with an 18-hole golf course, tennis, fitness, pool and more. Live in the desirable area of Spring Valley Lake with a beautiful view of the mountains and the lake. Front lake property featuring 4 bedrooms, 3 bathrooms. The kitchen features Viking stainless steel appliances, 6 burners cooktop w/Downdraft system, double wall convection oven (Viking), beautiful formal dining room, large size family room with fireplace, bamboo flooring (thru out). 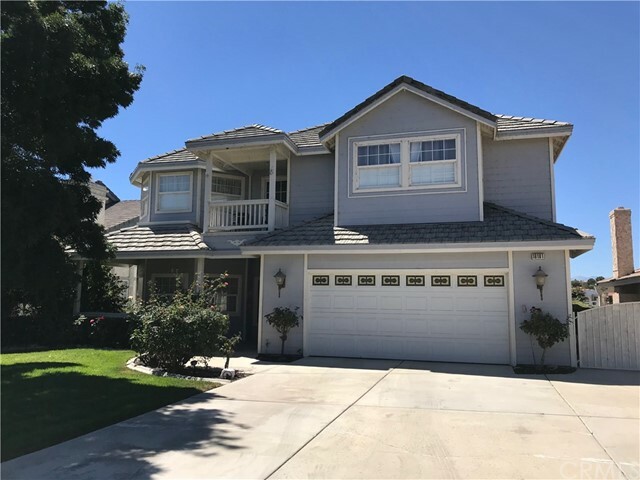 Master suite located downstairs, double sink master bathroom, extra deep bathtub, glass block shower, custom made walk in closet, upstairs 2 of 3 bedrooms share oversized Jack & Jill bathroom, large bonus/family room w/library and fireplace with a large balcony. Solar leased $120/mo. no other electric bill. Landscaped backyard, with 2 decks, small boat parking on side, block wall fencing, 3 car garages. Schedule a showing to come see today!" "Opportunity Knocks. MAJOR PRICE REDUCTION OVER 100K. Spectacular Open Water Property. This Is the Life !. Located in the High Deserts PREMIER association. SPRING VALLEY LAKE. Enjoy Boating, Fishing, Championship Golf Course. Prestigious Clubhouse. Horse Back Riding . World Class Shopping . Victor Valley College and schools within walking distance. Landscaped Front and Rear.. Custom wrought Iron Fencing. Striking Architecture. Great Curb Appeal. 5-Bedroom 4-Bath . 3510 SF Living Space. Master Suite Downstairs. Perfect for MULTI-GEN living. Mother -In- Law quarters.Open Floor Plan. Entertainers Delight. Formal Living Room Dining Area with Custom Wood China / Library Unit. Family Room with Fireplace Opens to Granite Kitchen. Double Oven. Pantry . Range. Microwave. Perfect Set up for large gatherings. Home flows nicely to expansive Patio. / Deck/ Private Boat Dock. Custom Granite Outdoor Kitchen. BBQ. Bar Serving Area. Sink. Upgraded Appliances. Wine Cooler. Gas Jetted Fire Pit. Enjoy the Integrated sound system and flat screen TV while relaxing in the spa. Casual elegance throughout . Master Suite is spacious and leads to private patio area. Enjoy arguably the best sunrises in the world. Master Bath Boast Dual Sided Fireplace . Elegant Jetted Tub. Ample Walk In Closet. Yet Another Upstairs bedroom is equipped with its own private Bathroom and Patio Area. 2- additional bedrooms are sufficient size and share a bath. Hardwood and Custom Tile Flooring. Don't Miss This One... Association Amenities: Laundry # of RV Spaces: 0 Special Features: BN,,CC,,TS,SHPOOL,CLUB,SPA,TENN,GYM,PIER,GOLF,LAUN Lot Location Type: On Lake Patio and Porch Features: Balcony Special Features: Cable TV,Garage Door Opener # of Attached Spaces: 2 # of Detached Spaces: 0"
"Waterfront hardly use weekend home, with its own boat dock, 5 bedrooms ( one downstairs with a full bath ), 3 full bath, moving condition must see to appreciate. Association Amenities: Beach, Marina # of RV Spaces: 0 Special Features: WSECPIER,LAKE,BEAC,MARN Lot Location Type: On Lake Patio and Porch Features: Balcony # of Attached Spaces: 2 # of Detached Spaces: 0"
"This Stunning Custom built home features an open floor plan with High ceilings, crown moldings, double panel windows with custom made shutters throughout, the floorings feature partial marble floors and partial carpeting, a formal dining room, a cozy large family room with a built in tv cabinet and surround sound system, 2 master bedrooms on the first floor, laundry room next to the guest 1/4 bathroom, an open floor plan kitchen with custom built cabinet and granite counter tops, walking pantry room, recess lighting and hanging chandeliers throughout, dual a/c units, the entire second level features a breathtaking master bedroom with huge walking closets, huge master bathroom with jacuzzi tub, spacious balcony with stunning views, a 25/28 over sized garage, built in BBQ area, beautifully landscape and lots of shade with fruit trees..This mini mansion won't last! You must see it to appreciate all it offers." "Waterfront property, hardly use, weekend home, with its own boat dock, 5 bedrooms ( one downstairs with a full bath ), 3 full bath, moving condition, must see to appreciate." 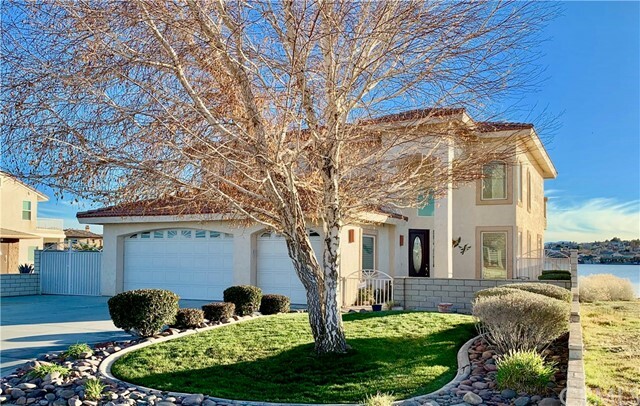 "GENEROUS PRICE REDUCTION.....DON'T MISS OUT ON THIS Great opportunity for an amazing home in one of the most sought after communities in the high desert, Spring Valley Lake! This 2-story 4 bedroom, 3 bath home features over 3,400 SqFt of living space on a corner lot with DIRECT ACCESS to the lake from your own backyard! You will step in the front door to your two story high ceiling foyer, with large chandelier light. The sunken formal living room with fireplace, and raised dinning room, gives you space for family entertaining and get togethers through out the year. The kitchen is LARGE and offers plenty of cabinet space for storage and preparation space with plenty of countertop room for the chef in the family. With eat-up sitting for up to 8 people, this is one kitchen that is means business when it comes to entertaining. The master bedroom is more like a retreat, featuring plenty of space for a large bed and sitting area, your private balcony that looks out to the lake, and a large master bathroom, with his and her vanity, dual head shower, and plenty of closet space. 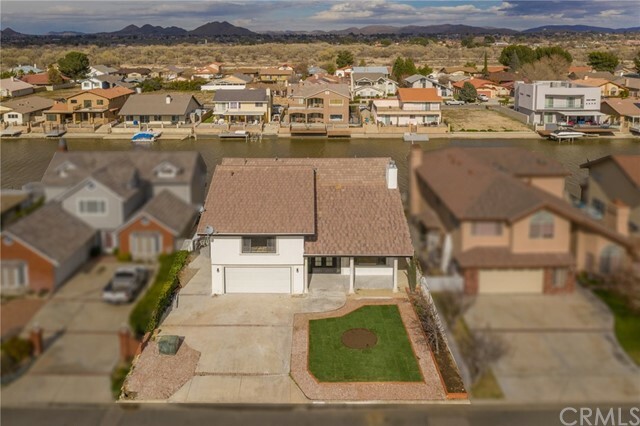 With direct access provided to the lake, to include boat ramp, a large grassed backyard, and all the amenities that are offered by Spring Valley Lake, and with easy driving to the 15 freeway, shopping and more, this is ONE home you must see!"